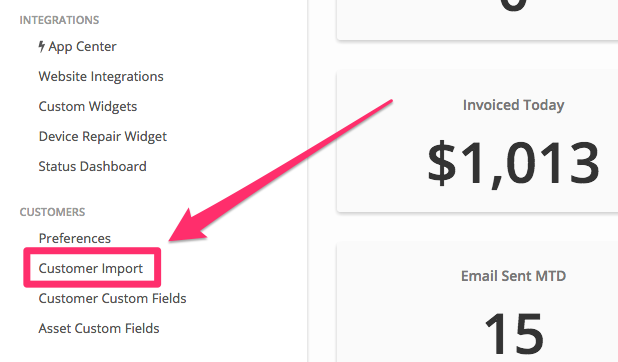 The customer import section provides the steps you'll need to download the CSV, enter your customer information, and import it back into Syncro. Unless you've exported your inventory from the software and it's an existing product (already in the software), the 'id' column should be left blank. If you are adding items with quantity, make sure the 'maintain_stock' column is set to TRUE. If the item is taxable, make sure the 'taxable' column is set to TRUE. If you are using product categories, make sure those categories have been created in the system before you import the inventory. If using Big-Chain: You can leave the 'quantity' column blank, but make sure to fill out the individual location's quantity on the CSV. Don't use the $ symbol when filling out cost and price. If your UPC codes are long, make sure that Excel isn't shortening them using scientific notation prior to importing. If delete is TRUE and there is an id that matches, that product will be deleted completely. The name of the product should be unique.